A new machine learning algorithm is developed to downscale satellite-based soil moisture estimates from their native spatial scale of 9 km to 2.25 km. Evaporation from wetlands, lakes and irrigation areas needs to be measured to understand water scarcity. So far, this has only been possible for small regions. Here, we develop a solution that can be applied at a very high resolution globally by making use of satellite observations. Our results show that 16% of global water resources evaporate before reaching the ocean, mostly from surface water. Irrigation water use is less than 1% globally but is a very large water user in several dry basins. Observing the amount of water evaporated in nature is not easy, and we need to combine accurate local measurements with estimates from satellites, more uncertain but covering larger areas. This is the main topic of our paper, in which local observations are compared with global land evaporation estimates, followed by a weighting of the global observations based on this comparison to attempt derive a more accurate evaporation product. Satellite soil moisture products can provide critical information on incipient droughts and the interplay between vegetation and water availability. However, time-variant systematic errors in the soil moisture products may impede their usefulness. Using a novel statistical approach, we detect such errors (associated with changing vegetation) in the SMAP soil moisture product. The vegetation-associated biases impede drought detection and the quantification of vegetation–water interactions. Daily GRACE gravity field solutions have been evaluated against daily river runoff data for major flood events in the Ganges–Brahmaputra Delta in 2004 and 2007. Compared to the monthly gravity field solutions, the trends over periods of a few days in the daily gravity field solutions are able to reflect temporal variations in river runoff during major flood events. This implies that daily gravity field solutions released in near-real time may support flood monitoring for large events. After soil gets wet, much of the surface moisture evaporates directly back into the air. Recent satellite data show that this process is enhanced when there is more water in the soil, less humidity in the air, and less vegetation covering the ground. A widely used model shows similar effects of soil water and humidity, but it largely misses the role of vegetation and assigns outsized importance to soil type. These results are encouraging evidence that the satellite can be used to improve models. In an effort to apply cloud-tolerant microwave data to satellite-based monitoring of evapotranspiration (ET), this study reports on an experiment where microwave-based land surface temperature is used as the key diagnostic input to a two-source energy balance method for the estimation of ET. Comparisons of this microwave ET with the conventional thermal infrared estimates show widespread agreement in spatial and temporal patterns from seasonal to inter-annual timescales over Africa and Europe. The following study extends existing irrigation maps based on official reports. The main idea was to extend the reported irrigated areas using agricultural suitability data and compare them with remote sensing information about plant conditions. The analysis indicates an increase in irrigated land by 18 % compared to the reported statistics. The additional areas are mainly identified within already known irrigated regions where irrigation is more dense than previously estimated. Global numerical models perform differently, as has been found in some model intercomparison studies, which mainly focused on components like evapotranspiration, soil moisture or runoff. We have applied terrestrial water storage that is estimated from a GRACE-based state-of-art post-processing method to validate four global numerical models and try to identify the advantages and deﬁciencies of a certain model. GRACE-based TWS demonstrates its additional benefits to improve the models in future. MSWEP (Multi-Source Weighted-Ensem­ble Pre­cip­i­ta­tion) is a new global ter­res­trial pre­cip­i­ta­tion dataset with a high 3-hourly tem­po­ral and 0.25° spa­tial res­o­lu­tion. The dataset is unique in that it takes advan­tage of a wide range of data sources, includ­ing gauge, satel­lite, and reanaly­sis data, to obtain the best pos­si­ble precipitation esti­mates at global scale. 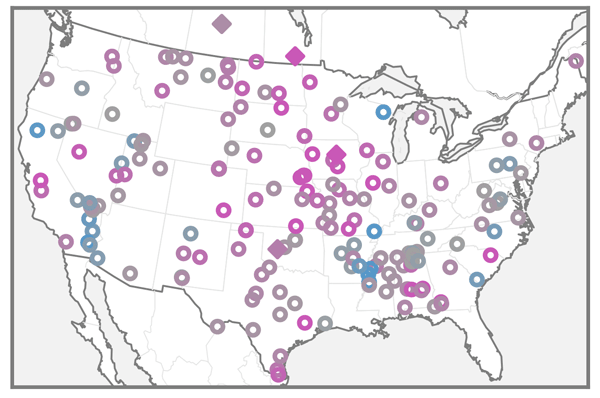 The dataset outper­forms existing gauge-adjusted precipitation datasets. The study evaluated the spatial and temporal consistency of satellite-based hydrological products based on the water budget equation, including three global evaporation products. The products were spatially matched using spherical harmonics analysis. The results highlighted the difficulty in obtaining agreement between independent satellite products, even over regions with simple water budgets. However, imposing a time lag on water storage data improved results considerably. We demonstrate a new approach to assess the strength of feedbacks resulting from land–atmosphere coupling on decadal timescales. Our approach was tailored to enable evaluation of Earth system models (ESMs) using data from Earth observation satellites that measure terrestrial water storage anomalies and relevant atmospheric variables. Our results are consistent with previous work demonstrating that ESMs may be overestimating the strength of land surface feedbacks compared with observations. We test the cloud tolerance of two technologies to estimate land surface temperature (LST) from space: microwave (MW) and thermal infrared (TIR). Although TIR has slightly lower errors than MW with ground data under clear-sky conditions, it suffers increasing negative bias as cloud cover increases. In contrast, we find no direct impact of clouds on the accuracy and bias of MW-LST. MW-LST can therefore be used to improve TIR cloud screening and increase sampling in clouded regions. Global net primary production (NPP) slightly increased in 2000–2014. More than 64 % of vegetated land in the Northern Hemisphere (NH) showed increased NPP, while 60.3 % in Southern Hemisphere (SH) showed a decreasing trend. Vegetation greening and climate change promote rises of global evapotranspiration (ET). The increased rate of ET in the NH is faster than that in the SH. Meanwhile, global warming and vegetation greening accelerate evaporation in soil moisture. Continuation of these trends will likely exacerbate the risk of ecological drought. This paper presents an appraisal of flood vulnerability of two French cities, Besançon and Moissac, which have been largely impacted by two ancient major floods (resp. in January 1910 and March 1930). An analysis of historical sources allows the mapping of land use and occupation within the flood extent of the two historical floods, both in past and present contexts. It gives an insight into the complexity of flood risk evolution, at a local scale. We developed the historical irrigation data set (HID) depicting the spatio-temporal development of the area equipped for irrigation (AEI) between 1900 and 2005 at 5arcmin resolution. The HID reflects very well the spatial patterns of irrigated land as shown on two historical maps for 1910 and 1960. Global AEI increased from 63 million ha (Mha) in 1900 to 111 Mha in 1950 and 306 Mha in 2005. Mean aridity on irrigated land increased and mean natural river discharge decreased from 1900 to 1950. One of the main challenges in global hydrological modelling is the limited availability of observational data for calibration and model verification. The aim of this study is to test the potentials and constraints of the remote sensing signal of the Global Flood Detection System (GFDS) for converting the flood detection signal into river discharge values. This work also provides a first analysis of the local factors influencing the accuracy of discharge measurement as provided by this system. Döll, P. and Siebert, S.: Global modeling of irrigation water requirements, Water Resour. Res., 38, 1037, https://doi.org/10.1029/2001WR000355, 2002. Drusch, M., Del Bello, U., Carlier, S., Colin, O., Fernandez, V., Gascon, F., Hoerschb, B., Isolaa, C., Laberintia, P., Martimorta, P., Meygretc, A., Spotoa, F., Sya, O., Marchesed, F., and Bargellini, P.: Sentinel-2: ESA's optical high-resolution mission for GMES operational services, Remote Sens. Environ., 120, 25–36, https://doi.org/10.1016/j.rse.2011.11.026, 2012. Dye, D. G. and Tucker, C. J.: Seasonality and trends of snow cover, vegetation index, and temperature in northern Eurasia, Geophys. Res. Lett., 30, 1405, https://doi.org/10.1029/2002GL016384, 2003. Food and Agriculture Organization of the United Nations: Bread wheat, FAO Plant Production and Protection Series 30, Rome, Italy, available at: http://www.fao.org/docrep/006/y4011e/y4011e04.htm, last access: 2 November 2015. Faroux, A., Kaptuè Tchuentè, A. T., Roujean, J.-L., Masson, V., Maritin, E., and Le Moigne, P.: ECOCLIMAP-II/Europe: a twofold database of ecosystems and surface parameters at 1 km resolution based on satellite information for use in land surface, meteorological and climate models. Geosci. Model Dev., 6, 563–582, https://doi.org/10.5194/gmd-6-563-2013, 2013. Fischer, G., Velthuizen, H., and Nachtergaele, F.: Global Agro-Ecological Zones Assessment: Methodology and Results. Interim report. Luxemburg, Austria: International Institute for Systems Analysis (IIASA), and Rome: FAO, 2000. Hall, D. K., Riggs, G. A., Salomonson, V. V., DiGirolamo, N. E., and Bayr, K. J.: MODIS snow-cover products, Remote Sens. Environ., 83, 181–194, https://doi.org/10.1016/S0034-4257(02)00095-0, 2002. Hanasaki, N., Kanae, S., Oki, T., Masuda, K., Motoya, K., Shirakawa, N., Shen, Y., and Tanaka, K.: An integrated model for the assessment of global water resources – Part 2: Applications and assessments, Hydrol. Earth Syst. Sci., 12, 1027–1037, https://doi.org/10.5194/hess-12-1027-2008, 2008. Hanjra, M. A. and Qureshi, M. E.: Global water crisis and future food security in an era of climate change, Food Policy, 35, 365–377, https://doi.org/10.1016/j.foodpol.2010.05.006, 2010. Herold, M., Mayaux, P., Woodcock, C. E., Baccini, A., and Schmullius, C.: Some challenges in global land cover mapping? : An assessment of agreement and accuracy in existing 1 km datasets, Remote Sens. Environ., 112, 2538–2556, https://doi.org/10.1016/j.rse.2007.11.013, 2008. Hirabayashi, Y., Kanae, S., Motoya, K., Masuda, K., and Petra, D.: A 59-year (1948–2006) global near-surface meteorological data set for land surface models – Part I: Development of daily forcing and assessment of precipitation intensity, Hydrol. Res. Lett., 2, 36–40, https://doi.org/10.3178/HRL.2.36, 2008. Horie, T.: A model for evaluating climate productivity and water balance of irrigated rice and its application to Southeast Asia, Southeast Asian Studies, 25, 62–74, 1987. Kotsuki, S., Takenaka, H., Tanaka, K., Higuchi, A., and Miyoshi, T.: 1 km-resolution land surface analysis over Japan: Impact of satellite-derived solar radiation, Hydrol. Res. Lett., 9, 14–19, https://doi.org/10.3178/hrl.9.14, 2015. Krysanova, V., Wechsung, F., Arnold, J., Srinivasan, R., and Williams, J.: SWIM (Soil and Water Integrated Model) User Manual, Potsdam Institutefor Climate Impact Research, Potsdam, Germany, 2000. 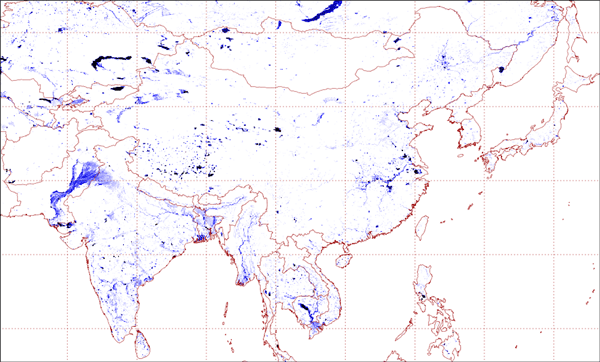 Loveland, T. R., Reed, B. C., Brown, J. F., Ohlen, D. O., Zhu, Z., Yang, L., and Merchant, J. W.: Development of a global land cover characteristics database and IGBP DISCover from 1 km AVHRR data, Int. J. Remote Sens., 21, 1303–1330, https://doi.org/10.1080/014311600210191, 2000. Maisongrande, P., Duchemin, B., and Dedieu, G.: VEGETATION/SPOT: an operational mission for the Earth monitoring; presentation of new standard products, Int. J. Remote Sens., 25, 9–14, https://doi.org/10.1080/0143116031000115265, 2004. Mingwei, Z., Qingbo, Z., Zhongxin, C., Jia, L., Yong, Z., and Chongfa, C.: Crop discrimination in Northern China with double cropping systems using Fourier analysis of time-series MODIS data, Int. J. Appl. Earth Obs. Geoinf., 10, 476–485, https://doi.org/10.1016/j.jag.2007.11.002, 2008. Monfreda, C., Ramankutty, N., and Foley, J.: Farming the planet: 2. Geographic distribution of crop areas, yields, physiological types, and net primary production in the year 2000, Global Biogeochem. Cy., 22, 1–19, https://doi.org/10.1029/2007GB002947, 2008. Nakaegawa, T.: Comparison of Water-Related Land Cover Types in Six 1 km Global Land Cover Datasets, J. Hydrometeorol., 13, 649–664, https://doi.org/10.1175/JHM-D-10-05036.1, 2012. Pokhrel, Y., Hanasaki, N., Koirala, S., Cho, J., Yeh, P., Kim, H., Kanae, S., and Oki, T.: Incorporating Anthropogenic Water Regulation Modules into a Land Surface Model, J. Hydrometeorol., 13, 255–269, https://doi.org/10.1175/JHM-D-11-013.1, 2012. Portmann, F.: Global estimation of monthly irrigated and rainfed crop areas on a 5 arcminute grid, Frankfurt Hydrology Paper 09, 2011. Portmann, F., Siebert, S., and Döll, P.: MIRCA2000 – Global monthly irrigated and rainfed crop areas around the year 2000: A new high resolution data set for agricultural and hydrological, Global Biogeochem. Cy., 24, 1–24, https://doi.org/10.1029/2008GB003435, 2010. Pettorelli, N., Vik, J. O., Mysterud, A., Gaillard, J. M., Tucker, C. J., and Stenseth, N. C.: Using the satellite-derived NDVI to assess ecological responses to environmental change, Trends Ecol. Evol., 20, 503–510, https://doi.org/10.1016/j.tree.2005.05.011, 2005. Rockström, J., Falkenmark, M., Karlberg, L., Hoff, H., Rost, S., and Gerten, D.: Future water availability for global food production: The potential of green water for increasing resilience to global change, Water Resour. Res., 45, W00A12, https://doi.org/10.1029/2007WR006767, 2009. Rodell, M., Houser, P. R., Jambor, U., Gottschalck, J., Mitchell, K., Meng, C.-J., Arsenault, K., Cosgrove, B., Radakovich, J., Bosilovich, M., Entin J. K., Walker, J. P., Lohmann, D., and Toll, D.: The global land data assimilation system, Bull. Amer. Meteor. Soc., 85, 381–394, https://doi.org/10.1175/BAMS-85-3-381, 2004. Rost, S., Gerten, D., Bondeau, A., Lucht, W., Rohwer, J., and Schaphoff, S.: Agricultural green and blue water consumption and its influence on the global water system, Water Resour. Res., 44, W09405, https://doi.org/10.1029/2007WR006331, 2008. Sacks, W. J., Deryng, D., Foley, J. A., and Ramankutty, N.: Crop planting dates: an analysis of global patterns, Global Ecol. Biogeogr., 19, 607–620, https://doi.org/10.1111/j.1466-8238.2010.00551.x, 2010. Sakamoto, T., Yokozawa, M., Toritani, H., Shibayama, M., Ishitsuka, N., and Ohno, H.: A crop phenology detection method using time-series MODIS data, Remote Sens. Environ., 96, 366–374, https://doi.org/10.1016/j.rse.2005.03.008, 2005. 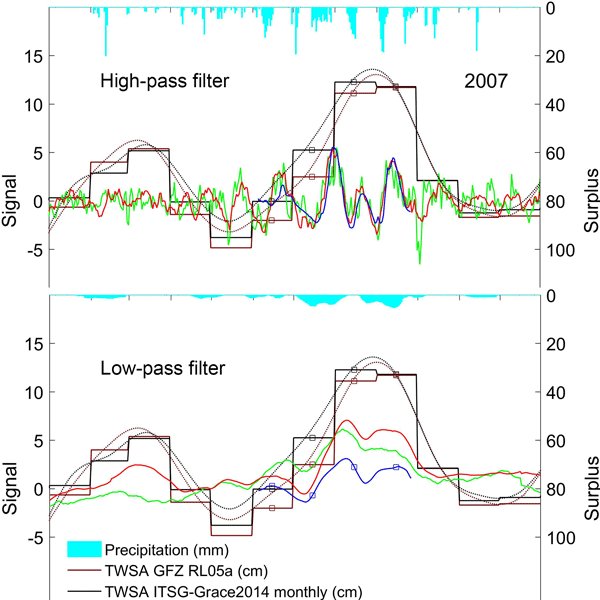 Sakamoto, T., Wardlow, B. D., Gitelson, A., Verma, S. B., Suyker, A. E., and Arkebauer, T. J.: A Two-Step Filtering approach for detecting maize and soybean phenology with time-series MODIS data, Remote Sens. Environ., 114, 2146–2159, https://doi.org/10.1016/j.rse.2010.04.019, 2010. Siebert, S. and Döll, P.: Quantifying blue and green virtual water contents in global crop production as well as potential production losses without irrigation, J. Hydrol., 384, 198–217, https://doi.org/10.1016/j.jhydrol.2009.07.03, 2010. Stehfest, E., Heistermann, M., Priess, J. A., Ojima, D. S., and Alcamo, J.: Simulation of global crop production with the ecosystem model DayCent, Ecol. Model., 209, 203–219, https://doi.org/10.1016/j.ecolmodel.2007.06.028, 2007. Tan, G. and Shibasaki, R.: Global estimation of crop productivity and the impacts of global warming by GIS and EPIC integration, Ecol. Model., 168, 357–370, https://doi.org/10.1016/S0304-3800(03)00146-7, 2003. Viovy, N., Arino, O., and Belward, A. S.: The Best Index Slope Extraction (BISE): A method for reducing noise in NDVI time-series, Int. J. Remote Sens., 13, 1585–1590, https://doi.org/10.1080/01431169208904212, 1992. 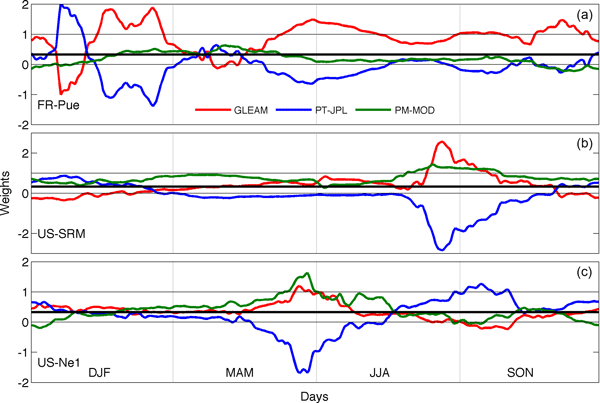 Waha, K., Van Bussel, L. G. J., Müller, C., and Bondeau, A.: Climate-driven simulation of global crop sowing dates, Global Ecol. Biogeogr., 21, 247–259, https://doi.org/10.1111/j.1466-8238.2011.00678.x, 2012. Wardlow, B., Egbert, S., and Kastens, J.: Analysis of time-series MODIS 250 m vegetation index data for crop classification in the U.S. Central Great Plains, Remote Sens. Environ., 108, 290–310, https://doi.org/10.1016/j.rse.2006.11.021, 2007. Wood, E., Roundy, J., Troy, T., van Beek, L. P. H., Bierkens, M., Blyth, E., De Roo, A., Döll, P., Ek, M., Famiglietti, J., Gochis, D., van de Giesen, N., Houser, P., Jaffé, P., Kollet, S., Lehner, B., Lettenmaier, D., Peters-Lidard, C., Sivapalan, M., Sheffield, J., Wade, A., and Whitehead, P.: Hyperresolution global land surface modeling: Meeting a grand challenge for monitoring Earth's terrestrial water, Water Resour. Res., 47, W05301, https://doi.org/10.1029/2010WR010090, 2011. Yorozu, K., Tanaka, K., and Ikebuchi, S.: Creating a global 1-degree dataset of crop type and cropping calendar through timeseries analysis of NDVI for GSWP simulation considering irrigation effect, Proc. of 85th AMS Annual Meeting, J6.8, 2005. Zabel, F., Putzenlechner, B., and Mauser, W.: Global Agricultural Land Resources – A High Resolution Suitability Evaluation and Its Perspectives until 2100 under Climate Change Conditions, PloS one, 9, e107522, https://doi.org/10.1371/journal.pone.0107522, 2014. 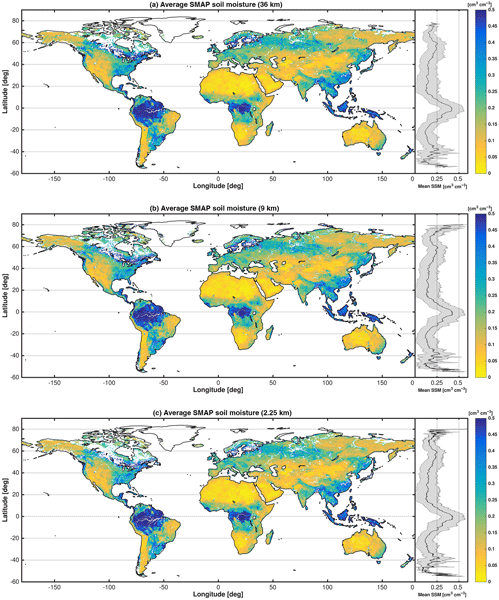 Zhang, X., Friedl, M., and Schaaf, C. B.: Global vegetation phenology from Moderate Resolution Imaging Spectroradiometer (MODIS): Evaluation of global patterns and comparison with in situ measurements, J. Geophys. Res., 111, G04017, https://doi.org/10.1029/2006JG000217, 2006. This study aims to develop a new global data set of a satellite-derived crop calendar (SACRA) and to reveal its advantages and disadvantages compared to other global products. The cultivation period of SACRA is identified from the time series of NDVI; therefore, SACRA considers current effects of human decisions and natural disasters. The difference between the estimated sowing dates and other existing products is less than 2 months (< 62 days) in most areas.